In November 1964, Arlequin started its production of Pastas with old equipment installed inside a 2,000 sq ft rented building. The first products manufactured were Long Ziti macaroni and hand Twisted Vermicelli. Two years later, with the drive to better quality and increase our market share, Arlequin bought a small pastas production line from Germany and moved to its own small factory, built in the industrial area of Port-au-Prince. In 1971, Arlequin became a corporation, Arlequin Food Products S.A., which entered into two manufacturing licensing agreements, respectively with Chesebroug-Pond's for the production of cosmetics, and with Jel Sert Americas to produce drink powder under the FlaVorAid brand name. Demand for our products grew fast. In 1973, Arlequin purchased two complete lines to produce Spaghetti and Short Cuts Pastas from the best pasta equipment manufacturer. Those lines were installed in our 30,000 sq ft.plant. 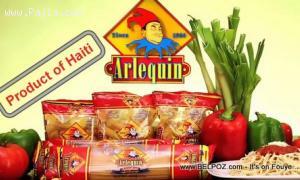 In 1985, Arlequin introduced in Haiti the first production and distribution of Corn Baked Extruded Snacks while always using top of the line equipments and employing qualified personnel to offer the best possible products. AIC : Alternative Insurance Company S.A.
Write a Review for Arlequin Food Products Inc.